A study has identified areas in Sweden that, from a human perspective, are most suitable for the wolves to repopulate. There are approximately 400 wolves in Sweden, which live mostly in the central part of southern Sweden. However humans densely populate this region as well, causing a human-wolf conflict. This conflict has resulted in illegal wolf killing. The researchers analysed the current habitat preferences of the wolves in Sweden to identify areas that are similar to their current habitat, but with less impact on human society. The theory is that if the wolves were to populate these identified regions, instead of remaining where there is a high human population, then this would reduce human-wolf conflict and illegal wolf killing. But this is an an ‘out of sight out of mind’ strategy. The human-wolf conflict has spanned centuries in Europe, and in the past the wolf was hunted almost to extinction. Fast forward to the 1960’s and there were only 10 wolves in Scandinavia, and no breeding populations in Sweden. This led to the Swedish government to formally protect wolves in 1966. However illegal wolf killing and licensed hunts continue to this day, even though the wolf is protected under the EU Habitats Directive. The wolf population is threatened by human activity, but also by inbreeding and geographic isolation. Nowadays in Europe, the human-wolf conflict is typically a human-human conflict about wolves. This study, published in Biological Conservation, suggested that 50% of Sweden’s land is both suitable for the wolf. This 50% is similar to land the wolf currently inhabits, and causes minimal impact to human society. The wolf currently inhabits only around 10% of the land in Sweden. The researchers looked at cultural, environmental, socio-economic and ethnic factors to model the potential redistribution of the wolf across Sweden. The study results highlight that the current wolf distribution is influenced by humans and policy. Of course, because the wolf is very limited in where it lives due to the human-wolf conflict that rages all across Europe. The results of the study also suggest that the best parts of Sweden for the wolves to repopulate are in the north, outside of the reindeer grazing zone. What is crucial to note is that the scientists use the human perspective in their approach. The study identifies the habitats that humans believe are suitable for wolf populations. However, a wolf is like the Wilderness in that it is self-willed, and it chooses where it wants to live. Identifying suitable areas for the wolf is a questionable undertaking, as in another light their results could be used to push the wolves out of their current habitat. The study concludes that the repopulation of wolves into Northern Sweden, which is comprised of boreal forests and less humans, would reduce conflict. However the wolf chooses where it wants to live, and is protected under the European Habitats Directive. We cannot make a wolf move, or control where it travels with political, cultural, economic or ethnic decisions. We know for example that in Germany, there are over 35 wolf packs, which live in close proximity to human society. Here people coexist with wolves – wolf and human have minimum impact on each others lives. In fact Germany recently published a report saying that whilst wolf numbers have increased by a third, damages decreased by a half. Similar study undertaken in Austria contradicted by the wolf itself! A similar approach has been undertaken in Austria in which areas where are already populated by wolf has been deemed less suitable and areas in the high alpine mountain range has been identified as very suitable for the wolf – but the wolf chose exactly the opposite habitats and has settled in areas which were deemed as less suitable for the wolf. So instead of asking ‘where shall we put the wolves to minimise human-wolf conflict’ perhaps more appropriate questions should be ‘why has the wolf chosen to live in the 10% of Sweden it currently inhabits’ and ‘how can we support Sweden and minimise negative feelings towards wolves’. The study is suggesting to move the wolf away from human civilisation, an ‘out of sight out of mind’ strategy. Perhaps instead we should consider adapting human mindsets and where necessary, livestock protection strategies. The biggest challenge to the human-wolf conflict is the perceptions of people towards the wolf. 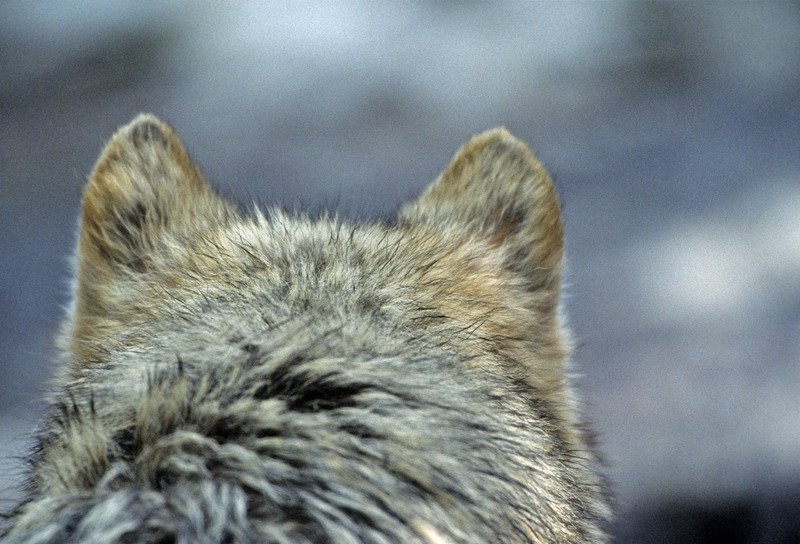 Policy and wolf-hunting are ultimately influenced by people’s attitudes. Wolves are an important part of an ecosystem, and have a place in Europe’s landscapes. Moreover, they are not a threat to human life, and only a minimal threat to livestock if the farmer has training and support from the government. Awareness of the wolf as a natural and welcome part of Europe needs to happen all across Europe. For example Sweden’s neighbour, Norway. The government plans to kill half the wolf population. How will wolf conservation work in Sweden when the same species is being killed just across the border?